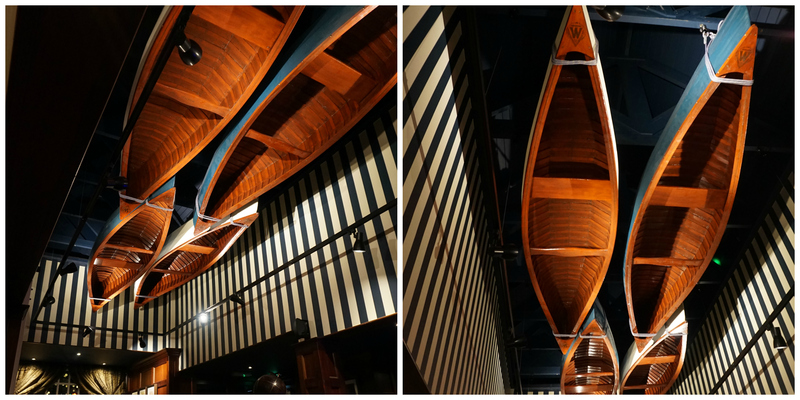 We were contacted by an interior designer to build four scaled-down canoes that could be hung from the ceiling in a similar style to a Ralph Lauren store they had visited in New York. We made four 11ft canoes with 40 ribs in each one. The inside of the canoes were stained a mahogany colour giving them a vintage look. The outsides were painted to co-ordinate with the rest of the restaurant. We were delighted with the outcome as was the designer. If you find yourselves at the Bull’s Head in Hale Barns, Manchester you can book a table under the canoes and see them for yourself.